“The establishment of a closed reception center for migrants is a condition for asylum to operate. 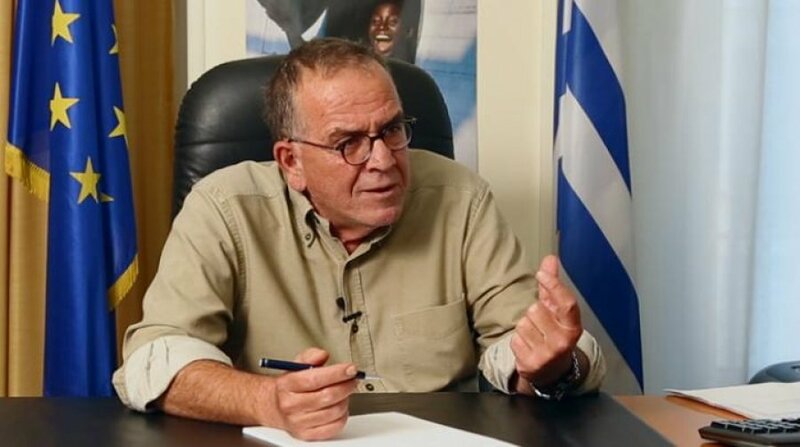 We must reconsider the issue,” Migration Policy Minister Yannis Mouzalas stated on Friday, noting the need to create a closed reception center for migrants and refugees on the island of Chios, Greece. Mouzalas was answering to a question tabled by New Democracy (ND) MP Notis Mitarakis in Parliament. Moreover, the minister opposed an immediate stop in the operation of the Souda reception centre, announcing his intention to call a meeting next week with the participation of all the involved agencies, the regional governor, the mayor of Chios and the local deputies in order to examine the existing options and to find a solution within the context of the EU-Turkey Statement for the migrants and refugees stranded on Chios. On his part, Mitarakis said that the migrants and refugees stranded on Chios exceed 3,600, while both hotspots (Souda and VIAL) are illegal. He also said that the asylum procedure is problematic, given that 400 asylum applications submitted by migrants and refugees on Chios have been examined and rejected but authorities have not notified the migrants and refugees involved of the decision and they have not been returned to Turkey. Mouzalas agreed that conditions on Chios has exceeded the residents’ limits and admitted the problem with the notifications. However, he noted that only 52 asylum applications have been examined and rejected at second instance, not 400. “We are aware of the situation. Without closed centres the decisions at second instance can’t be enforced,” said Mouzalas.Finally, he said that “we will undertake additional measures to prevent abuse of asylum. We will restrict privileges for return to their home country. If they do not voluntarily request it within five days of their arrival, they will not be entitled to request it,” he said.